The Pixel Navbar for your device. Only for CyanogenMod 14.1,13 and 12. FOR CM14.1 USERS : YOU NEED A OFFICIAL ROM CYANOGENMOD WITH THEME ENGINE !!! PLEASE DON'T GIVE BAD RATING IF YOU DON'T HAVE CORRECT ROMS !!! THIS APPLICATION CONTAINS NAVBAR AND WALLPAPER ONLY. 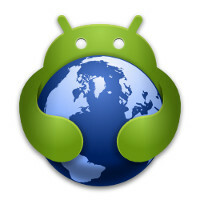 THIS THEME IS COMPATIBLE WITH CYANOGENMOD 14.1, 13 AND 12 WITH THEME ENGINE !!! PLEASE RESTART AFTER INSTALLATION OR UPDATE !!! - This application is inspired by the navbar from Pixel and Pixel XL Phone. Change your navbar with a android N style. - This application support CM14.1, you need an official rom from cyanogenmod with theme engine. Don't give bad ratings if you have a wrong rom or a issue. You need Theme Engine to change Navbar. Please contact me with the email below for better support.